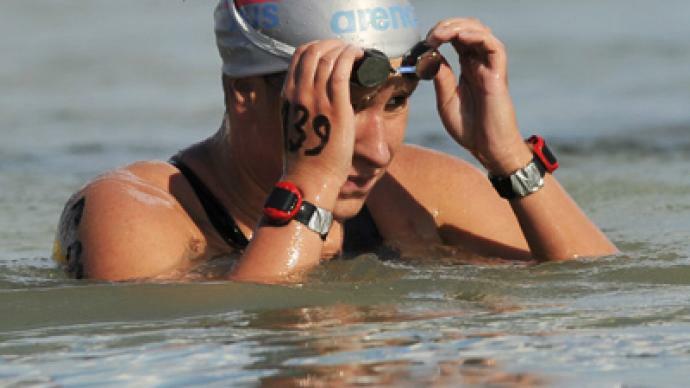 Russia’s Anna Guseva has proven her class, showing the fastest time at the Moscow Open Water Championships. ­Perfect weather and a perfect venue – that is what the Moscow Open Water Championship is known for. The annual event attracts more and more participants every year. This time another record was set with more than a hundred swimmers in different races. “I'm really glad the number of participants increases dramatically every year. We try to make it more popular and attract people. And mass character of the event will increase the skills of athletes,” Stanislav Lyovochkin, the event’s organizer, said. Many young swimmers take part in the event alongside professional athletes. So it was no surprise that a member of the national team Anna Guseva easily won over a distance of three kilometers. “I performed well here and I'm satisfied with the result. However, it was more like training for me than a serious competition. Just to prove to myself I'm in good form,” she said. However, not many national team swimmers participated as they were rested ahead of the World Aquatics Championships that starts in two-weeks in China. And Russia traditionally are among hot favorites in open water disciplines. “The Russian Championship has just finished and we have a few days off. And then we start preparing for the World Championship. It's a vital start as the first ten will be licensed to compete at the London Olympics,” Ekaterina Selivyorstova, two-time European champion, said. “We have big aims for the World Championship. It's hard to predict something with 140 countries competing. But we've never left the event without medals. However I hope we will improve our results compared to the previous World Champ,” Dmitry Belov, Russia’s open water swimming, coach. With one year before the London Olympics, every start is important and with the World Championship being part of qualifying for the 2012 Summer Olympics, the significance of the event becomes crucial.